Rushden has a range of sporting and recreation opportunities. 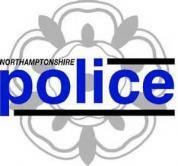 The Splash Pool and the Pemberton Leisure and Conference Centre are owned by East Northamptonshire Council. These facilities are run by Aspirations Wellbeing. There are football and rugby pitches at Jubilee Park together with changing facilities. There is also a state of the art skate park at Jubilee Park. There are football pitches at Spencer Park together with changing facilities. There are rugby pitches at Manor Park and this park is the home of Rushden and Higham Rugby Football Club. Rushden & Higham United Football Club is located at Hayden Road, Rushden. John White Golf Club is located on Bedford Road, Rushden and this has a 9 hole facility. Adjacent to this is a Golf Range together with a newly opened café.